20 November 2017 // From November 16th-18th, IF attended a workshop in Zagreb on multidisciplinary care organised by IF’s Croatian member Aurora. 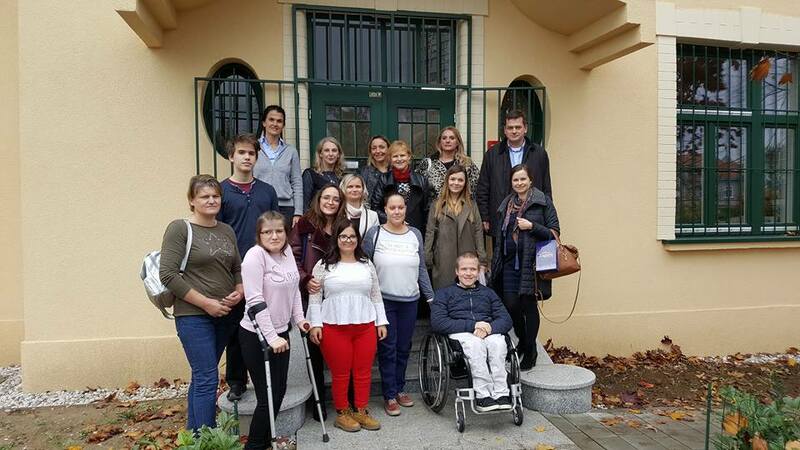 We joined the training together with representatives from Spina Bifida and Hydrocephalus (SBH) associations in Slovakia and Serbia, and from a disability organisation in Montenegro. IF Board Member Dr. Frantisek Horn presented on multidisciplinary care at his hospital in Slovakia. The first session of the workshop was also attended by the Vice President of the City Assembly of Zagreb; a representative of the City Health Office and a representative of the Ministry of Demography, Family, Youth and Social Affairs. The main topic was the need of a multidisciplinary approach at national level. The starting point would be to meet once or twice per month to gather all doctors around Croatia specialised on SBH to exchange knowledge about their patients and practices. Some Croatian decision makers felt this first approach would be a good action to highlight the importance of SBH care and to feature it on the top of the national policy agenda. The workshop in Zagreb was also a good opportunity to gather young people with Spina Bifida and Hydrocephalus to talk about their experiences and ideas regarding the quality of life of a youngster living with SBH, including topics such as inclusive education, accessibility of public transport, stigma around a person with disability, and the impact on the mental health. IF would like to thank Dominik Drdul for his motivational speech about his own life experience and the importance of self-advocacy for young people with disabilities. We would like to also thank to the Policlinic ‘Helena’ and its staff, specially to its director and nephrologist Dr. Andrea Cvitković Roić for hosting the workshop. Also, thank to our member Aurora Association, to its president Vesna Kumanović and our IF Youth Group member Mirela Bukovac for their professional job regarding the organisation of the workshop. We also feel very thankful to all the participants that actively participated in the discussions, we are really proud of the way you all are involved on Spina Bifida and Hydrocephalus’ issues. The way this workshop was organised was definitely a good example of how IF members can learn from each other: by exchanging knowledge with each other, cooperating together, proposing new ideas, and planning projects to improve the life of people with Spina Bifida and Hydrocephalus. We are stronger together! We invite you see the photos on the IF Facebook page!